Over at The StampNation, we're having an awesome class called "Eat, Sleep, Create!" There have been tons of great tutorials and you definitely won't leave without being totally inspired! You can find details on the class here. Have you ever done something that totally scares you? I find that the older I get, the less inclined I am to take risks. I like my security, and I like staying in the comfort zone of things I feel I'm good at. Well, leave all your fears behind you before starting this class, cause it's going to take you WAY out of your crafty comfort zone! 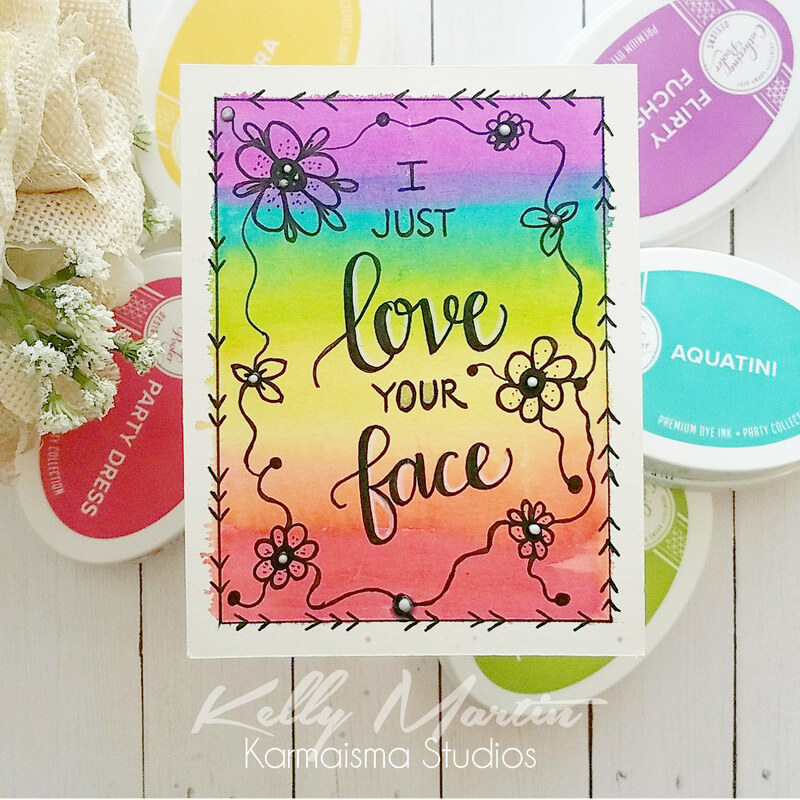 I'm not a messy cardmaker that just slaps color and other things down on a card front and just "makes it work." Oh--and doodling? Lettering? FORGET ABOUT IT. Totally not in my wheelhouse. But after watching all the awesome tutorials for the class, I was totally inspired to tackle some of these things that scare me! It's tough for me to create things and just put them out there when I don't have the safety net of a stamp or something pre-designed. So let go and just have fun--it's a tough hurdle to jump, but I did it and so can you! 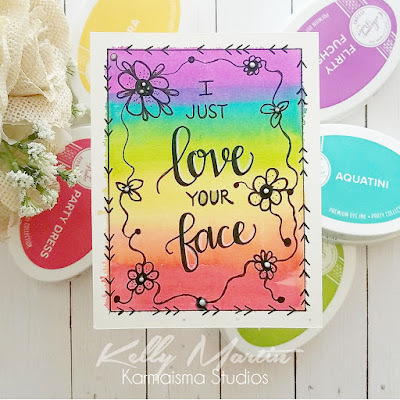 You can follow along with this card I made and try your own design--you'll probably be amazed at what you can create! Letting go and just having fun is also really therapeutic and a fantastic way to get your craft mojo back! Start off by laying down a watercolor wash on to a card. You can choose any colors or any mediums. I chose the inks from the Life of the Party Collection from Catherine Pooler Designs. After you have your background all set up, it's time to pick up your pencil and just letter away! Be sure to watch Shawna Clingerman's tutorial in the class to get some helpful tips and tricks on creating your letters. After I doodled my words on to my card front, I went over them with a black Tombow Marker. After the card front was done, I thought it looked a little bland. So this is where I had to just let go of my expectations and doodle away! I just scribbled some simple doodles until I was satisfied with the outcome. I then used some Tonic Nuvo Drops to add some extra dimension. 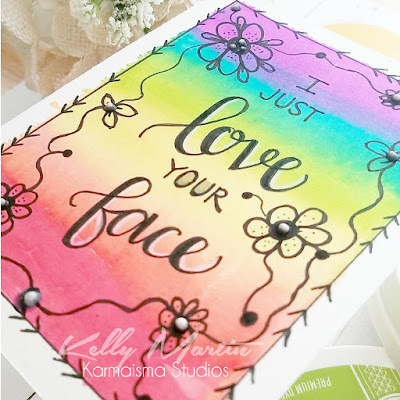 I was slightly afraid to share this card because it was so out of my comfort zone, but I had to learn to just have fun and craft, regardless of what people (including myself) think of the outcome!